2013 is coming! So, I want to start posting monthly calendars featuring the various beautiful places of the Philippines. 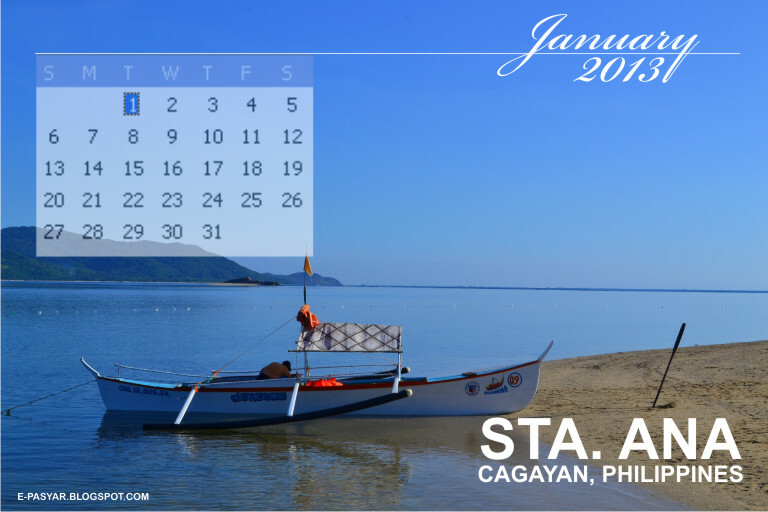 Here is e-pasyar's January 2013 calendar. I took this picture during our trip to Sta. Ana, Cagayan. Soon I'll be posting some pictures from our trip. Santa Ana, Cagayan (dubbed as the Gateway to the Pacific/ Luzon’s Last Frontier) offers breathtaking views from pristine blue waters and fine white sand, to rolling hills and enchanting colonial structures, to mystical caves and endearing people.